Over the last four weeks, I have sewn 3 quilts, 1 table runner and created a Valentine's Card project! Man, I have been a busy girl! We had a bit of a hiccup last week when I posted the Valentine's Day card project and my E-Pattern "Set Sail" announcement. It turned out that I have too many subscribers to my blog and not all my email notifications have been getting out lately! Who would have guessed - I had no idea you could have too many subscribers! 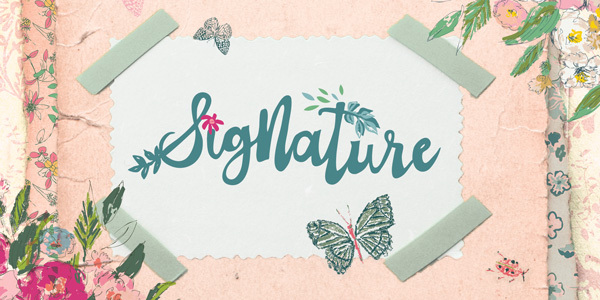 Well, it has taken a few days but I think we have all the bugs worked out now and we have a new email service in place to handle the mailings. I apologize to those of you that may have gotten several emails from my site while we were de-bugging and to those of you who didn't receive any emails at all. You may want to read back a few blog posts to see what you may have missed. So, let me tell you about what I have been working on these last couple of weeks. The first two quilts of the 3 made are all finished. Pieced, quilted, bound and shipped. 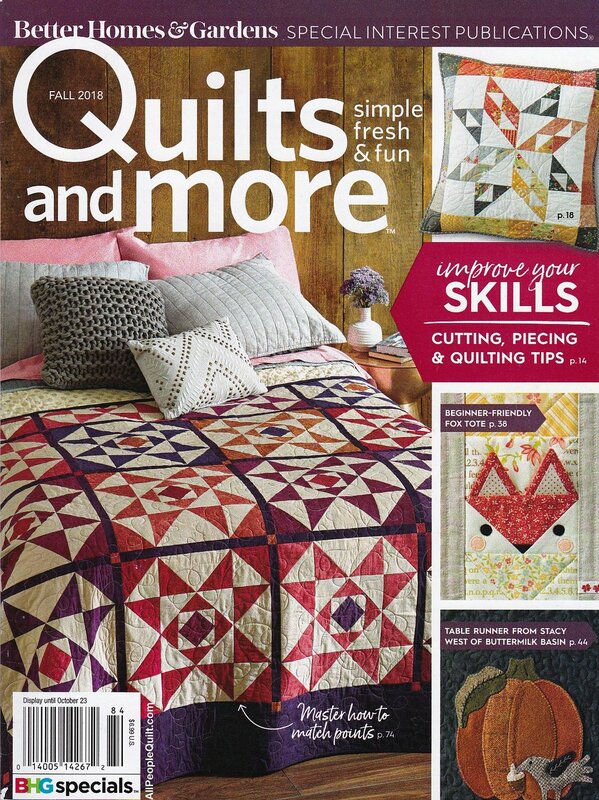 Both of those quilts were full-size quilts, one was made for Quilt Magazine and hand-quilted by me and the other quilt was made for Fons & Porter's Love of Quilting magazine and was machine quilted. 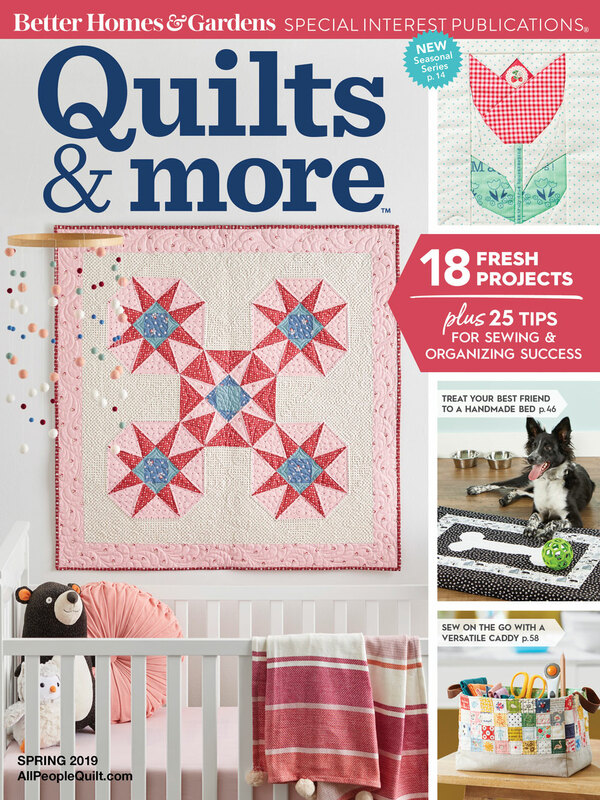 Both quilts will be seen this summer in those magazines and both use my new Dilly Day fabric collection. The third quilt I have sewn up is Square Dance, the project quilt for the Dilly Day collection. You can download this pattern free from Fabri-Quilt. 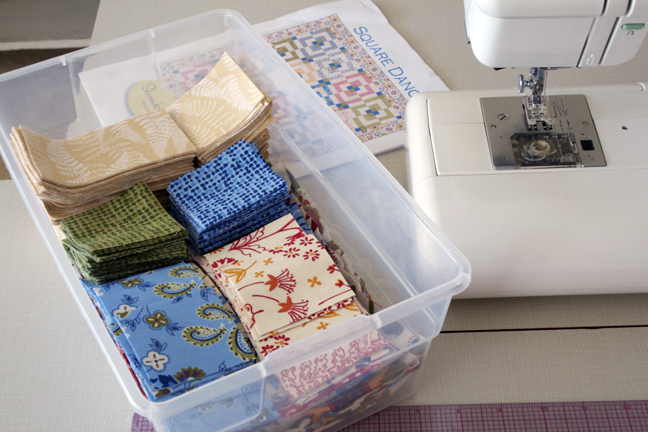 I am always amazed at how these cut pieces of fabric that fit all so nicely into a small bin can come together and make a full-size quilt! But, they do, and here is the Square Dance quilt top all pieced! Yeah! This quilt will travel to trade shows and Quilt Markets to promote the new collection. Life has been "sew crazy" here I have hardly had a moment to enjoy my accomplishments. I sure will enjoy seeing them in the magazines later this year and it will be well worth it! Now that I have the chance, I want to properly introduce my Dilly Day collection. 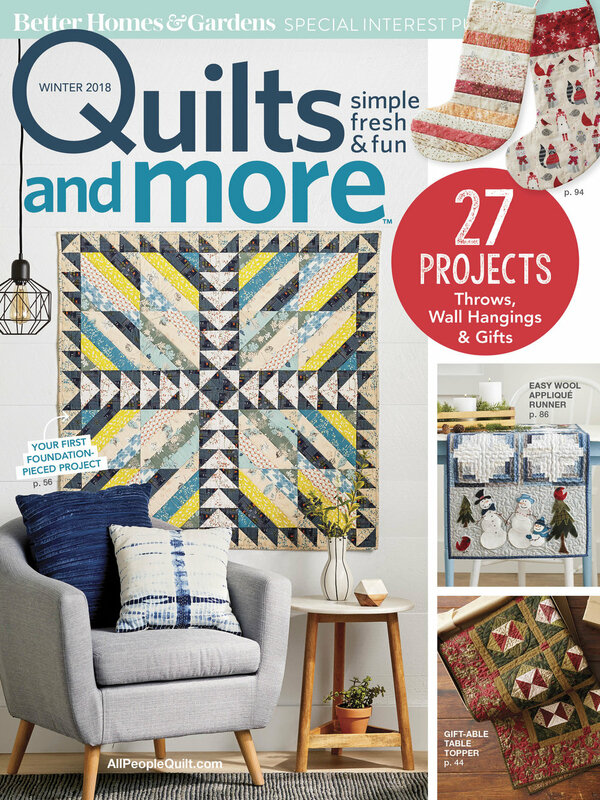 Check with your local quilt shop to see if they are carrying the collection or search on-line. These are all 20 prints in the collection. A fun palette for summer. Looking ahead... I plan on having a Dilly Day fat quarter give a-way in the days to come. I just want to make sure all the mailing hiccups are over before I post the give a-way. I will also have a super quick, super easy table runner project to post around the time of the give a-way. I just need to complete the table runner and write up the instructions for a free PDF project. So, be watching for all that! Another future post will be about what to do with those left over triangle trimmings from quick piece triangle blocks (sometimes called "flippy triangles".) The "Using Left-over Triangles" post idea was a great question asked by Ana Maria of Spain. I will have some tips and block suggestions, because I am sure there are others who would like to get some ideas on how to use those scraps too. That will be a fun post to do. Leave a comment on this post to be entered into a drawing for the Winter Song fat quarter give-a-way! Two fat quarter bundles from my Winter Song collection will be given away free. The bundle includes 20 different prints from theWinter Song Collection. Leave a comment on this post for the give-a-way, anytime between Tuesday, October, 18th, 2011 and by noon (EDT) on Tuesday, October 25th, 2011. Only one entry per name will be added to the random drawing for a chance to win a fat quarter bundle from the Winter Song collection. Two bundles will be given away. I will notify the winners on Tuesday, October 25th, 2011 and post the winners names on my blog. Last week my husband and I took a trip to visit friends and family in Iowa and Illinois. We also used our time out west (from Ohio) to visit Fabri-Quilt, in Kansas City, MO. This was my first opportunity to meet all the wonderful people at Fabri-Quilt in person. Up till last week, I had only talked with them through phone calls and emails. I am very impressed with all the goings on at Fabri-Quilt. Did you know they do all their quilted fabrics there, on site? I didn't know either. 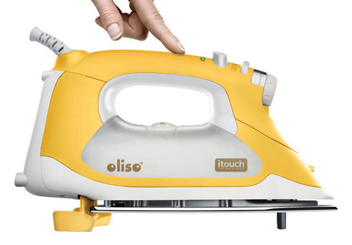 It is nice to know there are still products being produced in the United States! My trip out to Fabri-Quilt was not just to see the building, we did have a little business to take care of. The first set of strike-offs were in for my new collection, Dilly Day! The new collection is looking really good and all seems on track for having the fabrics ready for the fall. We still have to see another round of strike-offs, but I liked what I was seeing, hooray! When we toured the building and were walking through the warehouse area, I spied my Blue Skies collection on the inventory shelves. I had to get a photo of that! It is great having the faces to go with the names now. I think I am still smiling from my visit at Fabri-Quilt. What terrific people to be working with. When driving down to Missouri at sunset, I photographed this beautiful silhouette of an Indian sculpture with buffalo at the Missouri state line rest stop. We did most of our visiting of family in Iowa, I grew up in Iowa, so I just love that state. There is just something about the landscape, the rolling hills, farm fields and open sky that makes me smile. Not to mention the attractions at the Iowa welcome center. I had made a quilt for my sister and wanted to give it to her in person. We do not get to see each other very often, so getting to see her last week made my vacation even more special. Before we saw my sister we had stopped to see my husbands father. My father-in-law lives by a lovely park and I saw a photo-op to photograph the quilt on this beautiful stone bridge. 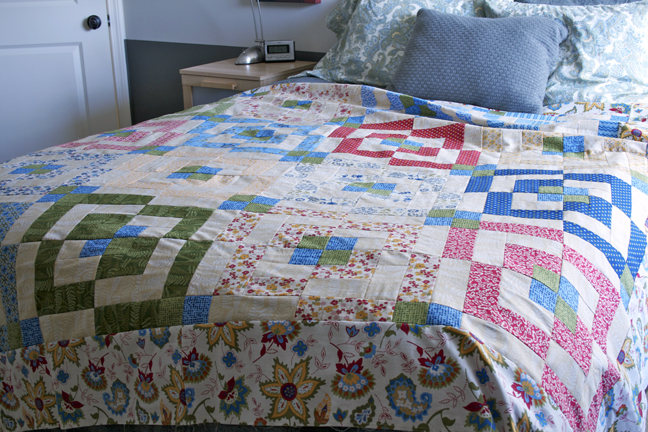 This quilt called Four Points which I designed using my Love Grows collection fabrics. I designed the quilt and pieced it and had Michele Mason of the Mason Jar Quilt Shoppe do the quilting on it. I am back home now and missing everyone terribly. It was great taking the time off and seeing so many of my friends and family as well as meeting new friends. I just can't quiet get back into the swing of being home and getting back into all the projects and jobs I am supposed to be working on. But I am sure after one or two more days of drifting about the house I will get back to work, it is nice to take some time off now and then! 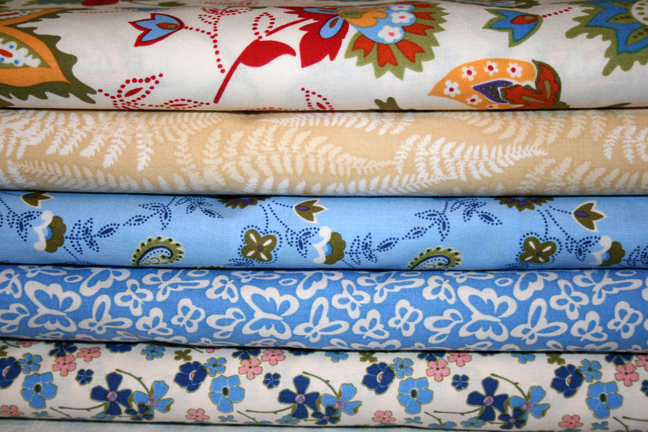 Not only do I have a new look for my blog site, but I also have a new Fabrics Page! My blog also has some new navigation menus. Look under the Where to Buy Page for a drop down menu, here you will find the Fabrics page along with the individual collection pages. 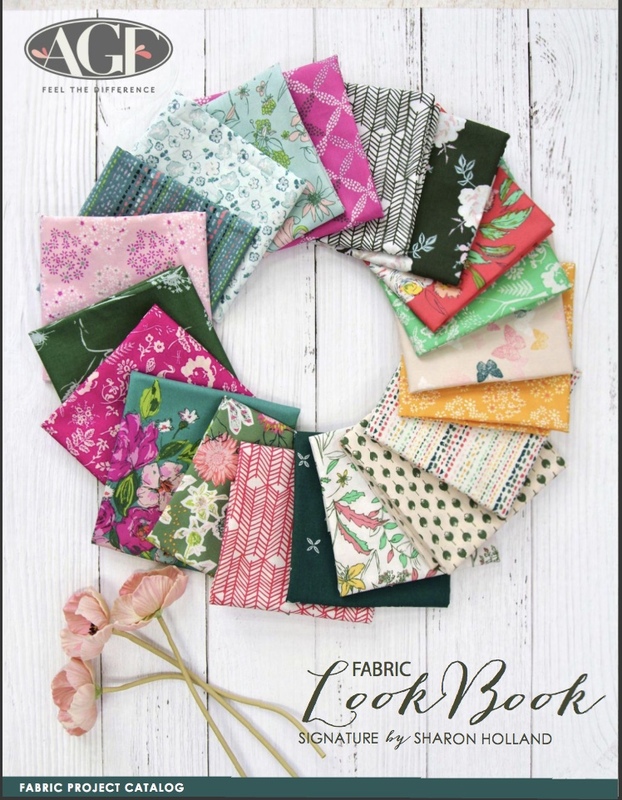 The Fabrics page is devoted to showcasing my different collections in a picture gallery that highlights each collection and places all projects done in those fabrics in one gallery. Any images with captions have links to projects. Just click on that image with a caption and you will find the free download page whether it is from my site or a free download project from Fabri-Quilt. I will be continually adding new pictures and project links to the Fabrics page along with new collections as they become available. I hope you enjoy this new feature. I have enjoyed putting it together it for you.